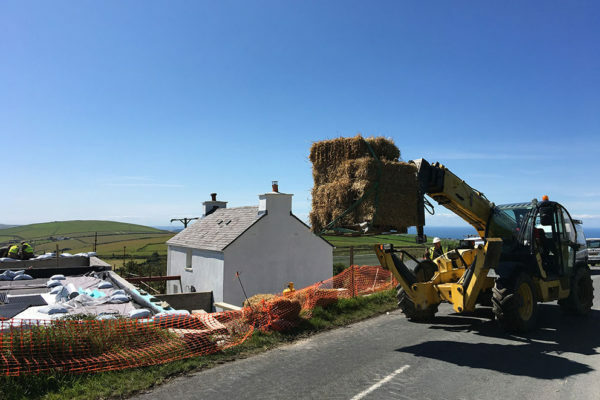 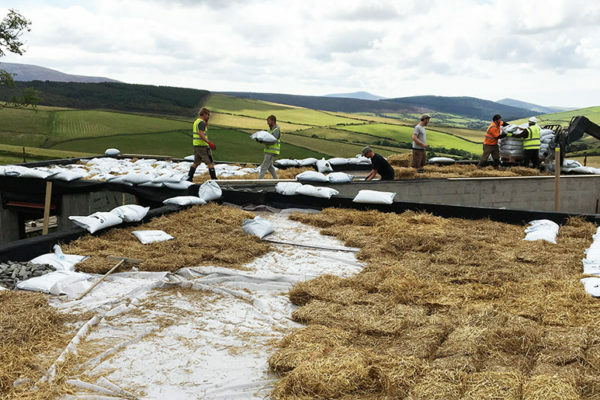 Organic Roofs worked with architects FosterLomas to deliver the first stage of this development of a Nature Reserve and dwelling near Kirk Douglas on the Isle of Man. 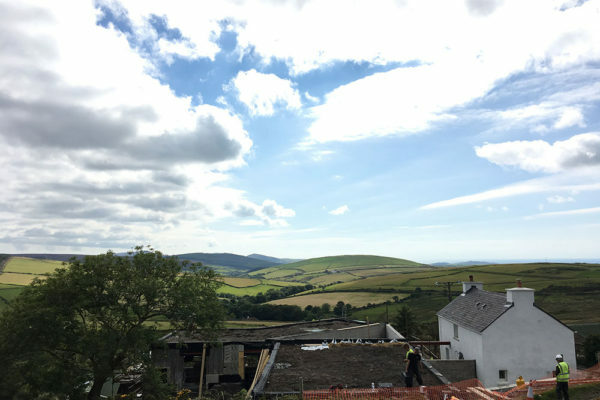 With sweeping views down to the Irish Sea and the Mountains of Mourne, the setting could not be more idyllic. 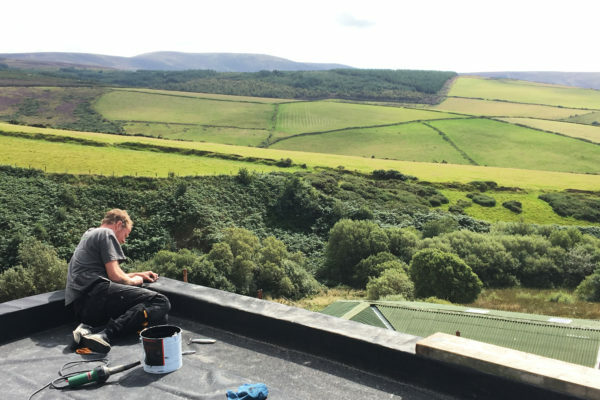 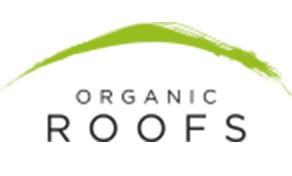 There are two roofs totalling 180m², with two single sheet EPDM (rubber roofing) coverings and our pioneering HayBase™ lightweight meadow. 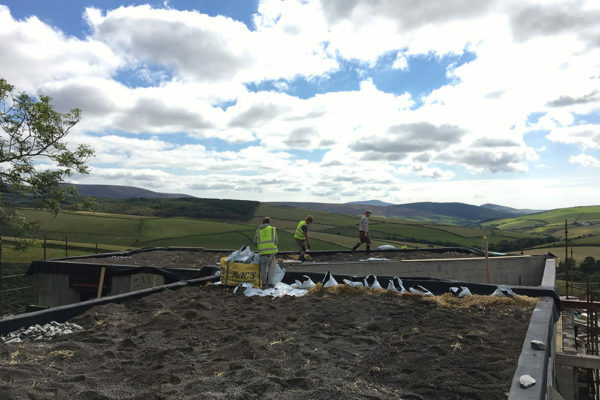 The first stage including waterproofing and loading of the green roof elements was completed in (a well-organised) four days. 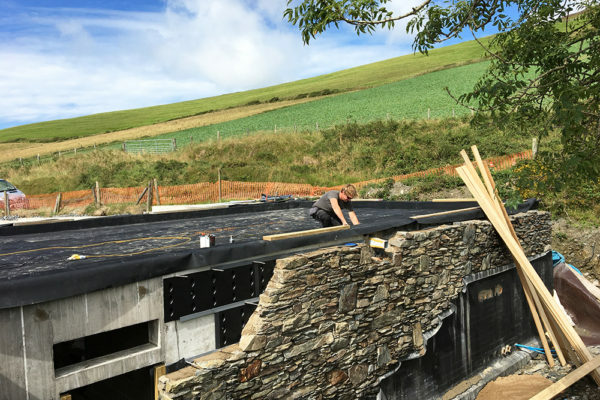 The client will be creating a nature reserve in the area below the site and we worked with the Manx Wildlife Trust to develop a planting scheme that closely emulated the flora of the immediate area – both for aesthetic and for ecological reasons. 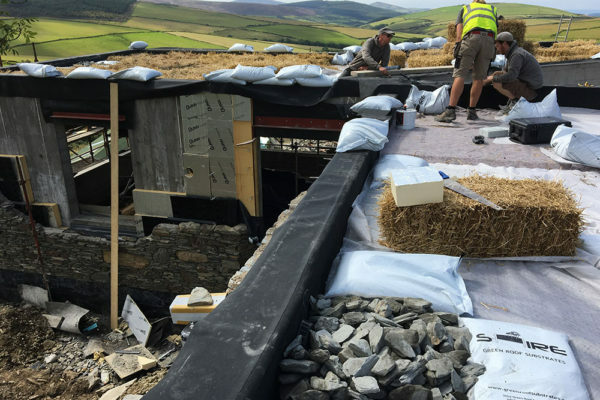 The meadow that develops will complement the fantastic dry-stone walling and help the imposing building blend effortlessly into the landscape.